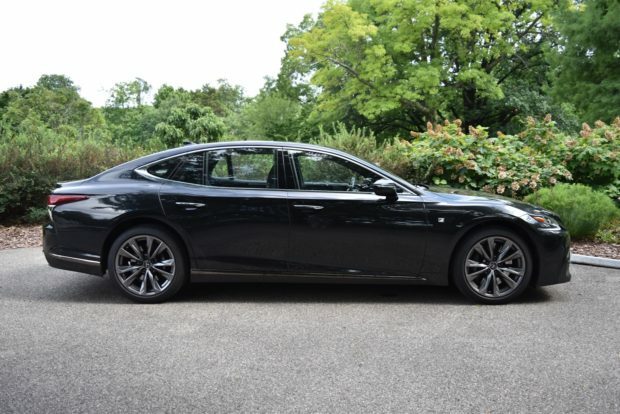 This luxury executive sedan was redesigned from top to bottom this model year and it’s a real headturner. First is that big, dominating grille which some say overpowers the car’s aesthetics. I think it sets the tone for what this car is – which is bold, vibrant, and aggressive. 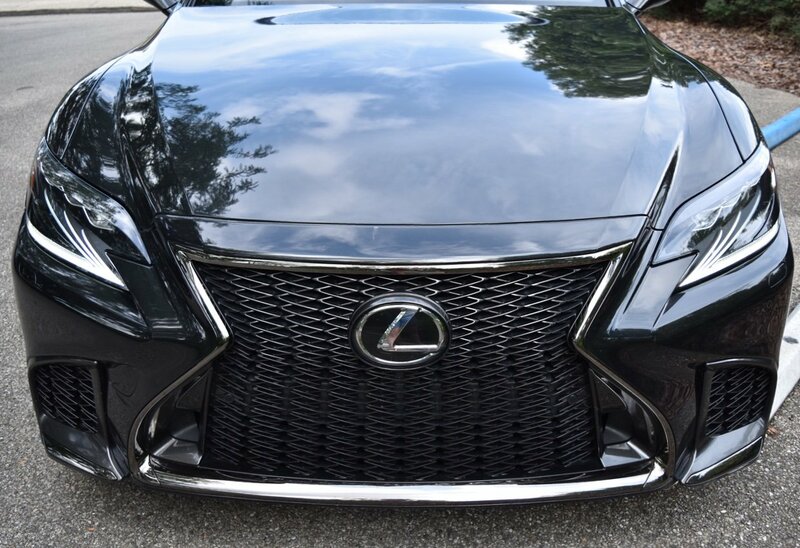 Z-shaped LED headlights slant toward the hourglass “spindle” grille, flowing congruently together. Is the look over the top? Maybe, but it’s certainly not conservative or bland. Lexus’ designers have made a concerted effort to no longer play it safe with their styling. 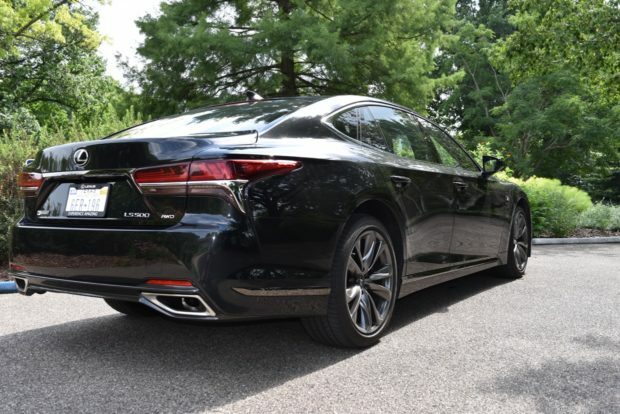 In profile, the LS 500 is well proportioned, although the front end is substantially longer than the back. The styling of the side panels is gorgeous, flowing smoothly from front to rear. 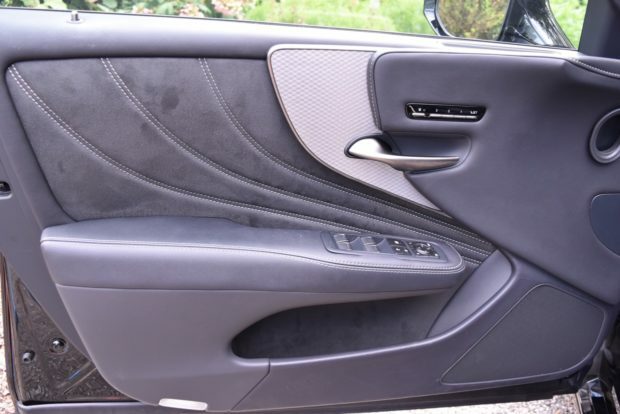 Again, this is well planned by the designers and a nice element to the car’s fit and finish. The back side is a bit less aggressively styled than the rest of the LS, losing some of its mojo when approached from the rear. The chrome exhaust tips are a nice touch and hint at the power and performance that this car offers up. Under the hood, there’s a new twin-turbocharged V6 engine. The 3.5-liter V6 makes an ample 416 horsepower and 442 lb-ft. of torque. Put your foot down, and the exhilaration begins immediately with a nice purr to the engine. Off the line, the LS 500 is a blazer. The F Sport’s aggressive style is not just for show as this car is quick and athletic. With three selectable driving modes, you can dial in the performance and handling to your liking. Additionally, the 10-speed automatic transmission is phenomenal. I think it’s one of the best transmissions of this model year, with perfect, smooth shifts, and tuned to work with the engine to produce no turbo lag whatsoever. Some enthusiasts will want the LS in rear-wheel drive, which is standard. My tester had all-wheel drive, which I prefer. 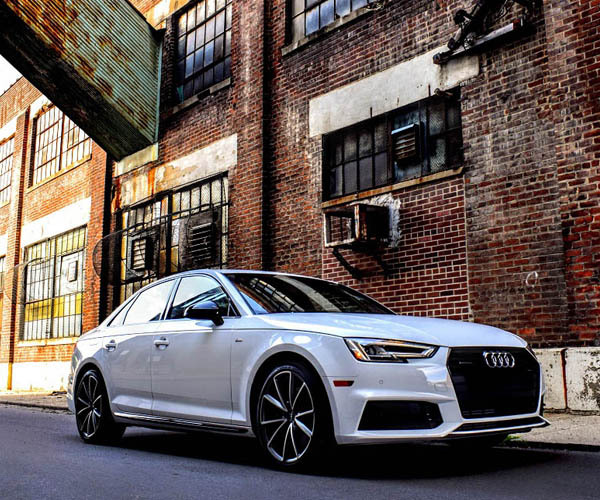 You won’t get the rear end to hang loose, but adds to the already tremendous handling of this car and makes it more prepared to handle all road conditions. 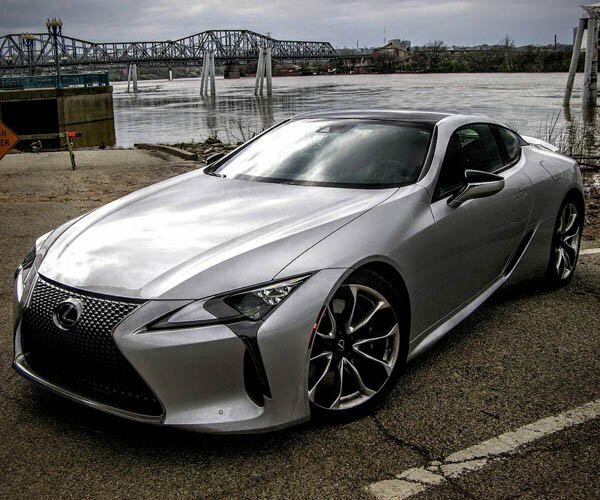 It’s important to realize the LS 500 is not a sports car, but a luxury performance cruiser. It won’t wow the true sports car snobs out there, but it will impress the vast majority who want comfort, power and luxury. There’s a hybrid version of this car for those who care about fuel economy. My tester had an EPA rating of 18 mpg/city and 27 mpg/highway. Even with a heavy foot, I got much closer to the 27 side of the things than that 18 mpg side. I averaged just over 23 mpg through the suburbs, on and off the highway. 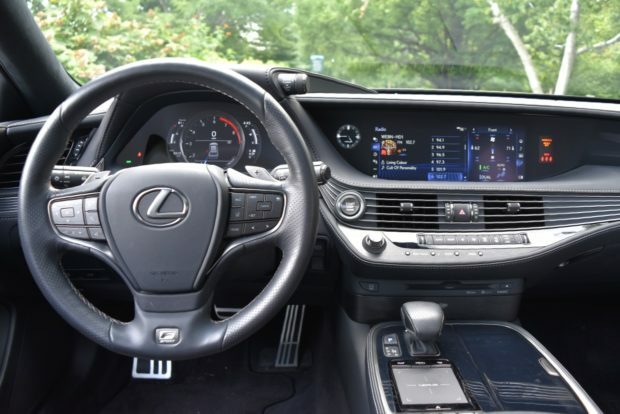 Inside, the Lexus LS 500 is truly special. There’s nothing cheap about this car’s interior. It’s chock full of soft touch points, dripping with luxury and extra amenities. 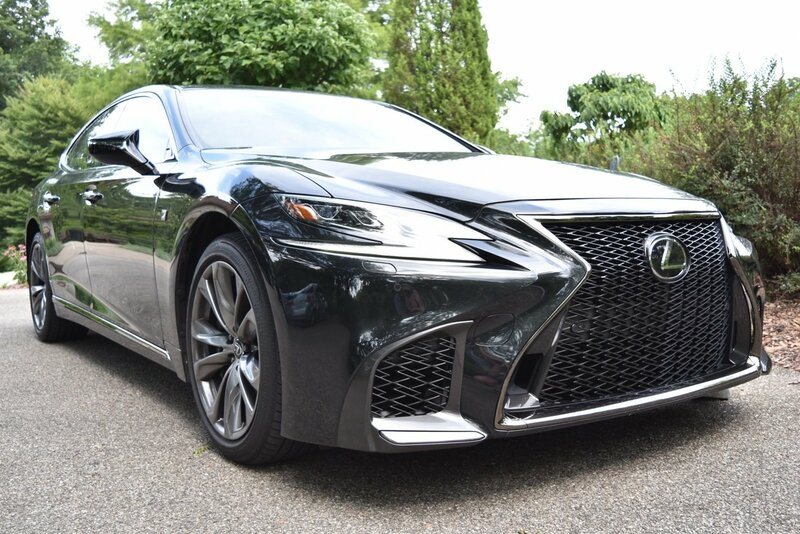 The F Sport trim adds even more niceties like aluminum pedals, suede headliner, and door scuff plates, giving the LS the right mix of luxury and sporty styling. 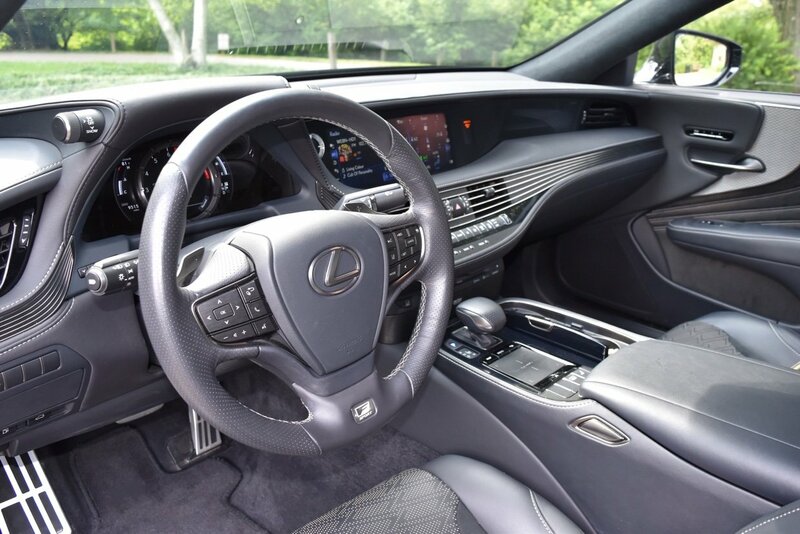 The interior is so quiet that it’s almost like you’re driving a hybrid, except for the noticeable purr of the engine upon rapid acceleration. But otherwise, the comfort level is what you want and expect from a car like this. The leather-clad seats are incredibly comfortable, and the F Sport seats have a power seat cushion extender. The reclining back seats were a big hit with my passengers, and show that this car is a great executive vehicle – or even good for family road trips. 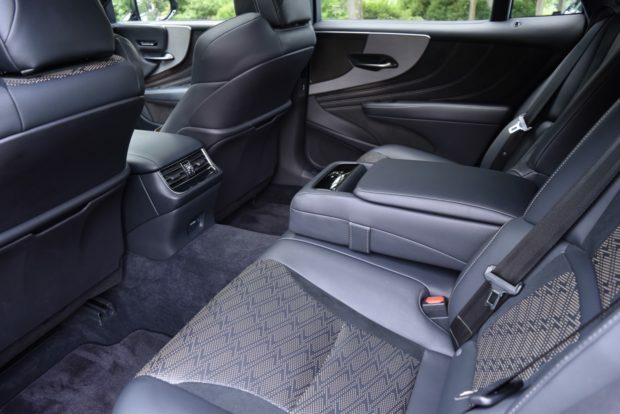 The front seats offer heating, cooling, and even massage functionality. This is the kind of luxury you rarely encounter, and can quickly get you quite spoiled. For all of the positive things going for it, I was hoping that with the redesign of this car there would be a redesign of the infotainment system. Sadly, Lexus continues to use the joystick/touch pad to drive their dated infotainment system. This is one of the touchiest and least intuitive systems around. For a luxury brand, I expect better. It has many of the bells and whistles, but to navigate things like scrolling through the menus or even changing the channel, the controls aren’t intuitive, and can be touchy. This then takes the driver’s eyes off the road as you fumble through the screens looking for the feature you’re trying to use. It’s a frustrating system to say the least. 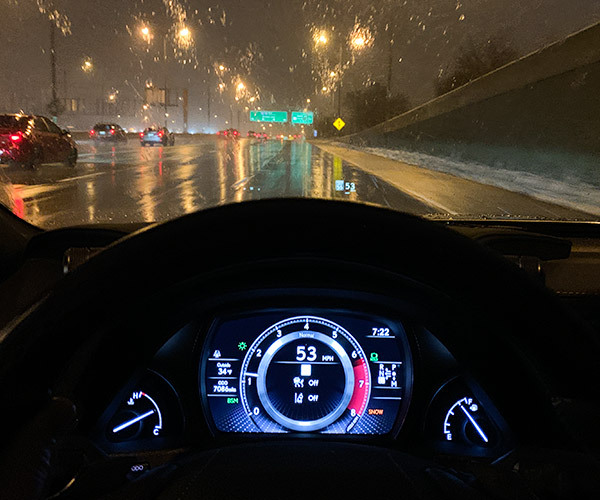 On the other hand, there are some great tech and safety features included like pedestrian alert (which shows on a big heads-up display when there’s someone in the path of the car), side collision avoidance, automatic braking, lane assist, steering assist, and a multi-view parking camera. The base LS 500 has a starting price around $75,000. But my tester, loaded up in F Sport trim and with all-wheel drive had an MSRP of $84,220. That’s a substantial price tag, but it’s a substantial car. Kudos to Lexus for making this car look special and drive just as well. 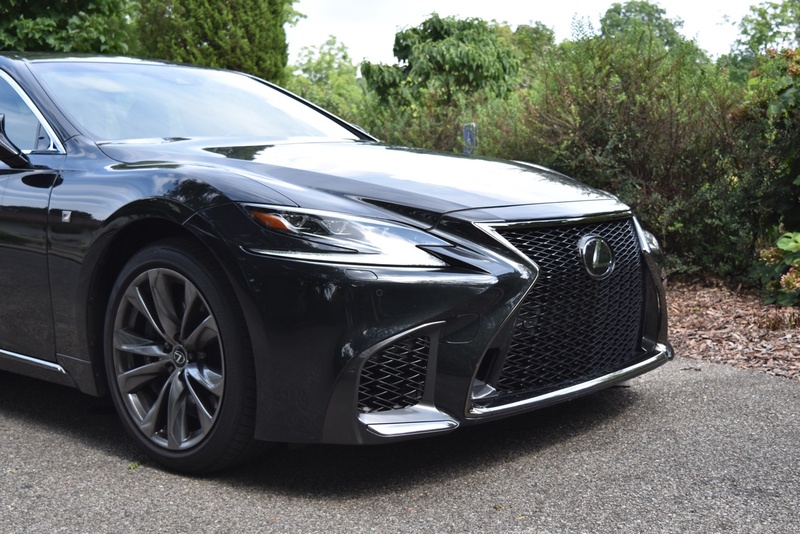 Justifying a price tag like that is difficult, but the LS 500 is special with all kinds of high-dollar features throughout. When it comes to completely redesigning a car, it’s often a “damned if you do and damned if you don’t” situation. In the case of the 2018 Lexus LS 500, I think its new looks, amenities, and performance, it’s a hit.